A nurse, a teacher and a child carer are among the latest people convicted as part of Surrey and Sussex Police’s Christmas crackdown on drink and drug-drivers. A total of 240 arrests were made in Sussex during the campaign, which ran from 1 December 2018 to 1 January 2019. Of these, 57 have so far been convicted. A further 36 have been charged to attend court, and the remaining have either been released under investigation pending further enquiries or released without charge. Michelle Evans, 40, a nursery nurse, of Evelyn Avenue, Newhaven, was arrested on the A26 at Tarring Neville on 2 December and charged with driving with 79mcg of alcohol per 100ml of breath in her system. At Hastings Magistrates’ Court on 2 January, she was disqualified from driving for 17 months. She was also ordered to pay a £350 fine, £85 costs and a £35 victim surcharge. In police interview, Evans stated she shared two bottles of wine and a bottle of prosecco with five other people at a work Christmas meal in Lewes, but claimed she stopped drinking at midnight. At 4am she left and “felt fine”, and believed that due to the time passed she would be safe to drive. Shortly afterwards, she crashed and overturned her car – an orange Chevrolet Matiz. Mark Reynierse, 43, a gas board employee, of Hatherleigh Close, Bognor Regis, was arrested in Station Road, Bognor Regis, on 8 December and charged with driving with 132mcg of alcohol per 100ml of breath in his system. At Worthing Magistrates’ Court on 28 December, he was disqualified from driving for 36 months and sentenced to 12 weeks in jail, suspended for 18 months. He was also ordered to carry out 180 hours of unpaid work, and pay £85 costs and a £115 victim surcharge. The defendant stated he had consumed at least three double vodka and cokes at home during the afternoon, before he decided to drive to Dominos in Station Road to collect pizza around 4pm. As he attempted to reverse park his white Fiat Doblo, he hit a pedestrian, who fell to the floor and sustained back and hip injuries. Gustavo Capitao, 37, an admin assistant, of Farmleigh Close, Crawley, was arrested in Brighton Road, Crawley, on 18 December and charged with failing to provide a specimen of breath when suspected of having driven a vehicle. At Crawley Magistrates’ Court on 4 January, he was disqualified from driving for 24 months and sentenced to a 12-month community order, requiring him to carry out 80 hours of unpaid work. He was also ordered to pay £85 costs and a £85 victim surcharge. He came to attention after the black Mercedes he was driving pulled out in front of a police car and swerved across the road. When he was stopped and questioned, he admitted he had been celebrating his birthday by drinking at the pub. Philip Bultitude, 36, a builder, of Browns Lane, Uckfield, was arrested in St Johns Road, Crowborough, on 1 December and charged with driving with 148mcg of alcohol per 100ml of breath in his system. At Hastings Magistrates’ Court on 2 January, he was sentenced to a 12-month community order, requiring him to carry out 150 hours of unpaid work, and disqualified from driving for 32 months. He was also ordered to pay £85 costs and a £85 victim surcharge. Graham Hazell, 68, a decorator, of Hamilton Road, Horsham, was arrested in Greenway, Horsham, on 2 December and charged with driving with 74mcg of alcohol per 100ml of breath in his system. At Crawley Magistrates’ Court on 2 January, he was disqualified from driving for 18 months. He was also ordered to pay a £250 fine, £85 costs and a £30 victim surcharge. Scott Dean, 43, a carpenter, of Bodiam Avenue, Brighton, was arrested in Fox Hill, Haywards Heath, on 2 December and charged with driving with 78mcg of alcohol per 100ml of breath in his system. At Crawley Magistrates’ Court on 9 January, he was disqualified from driving for 17 months. He was also ordered to pay a £500 fine, £85 costs and a £50 victim surcharge. Neil Priddy, 36, a cleaner, of Chowns Hill, Hastings, was arrested in Queensway, St Leonards, on 2 December and charged with driving with 76mcg of alcohol per 100ml of breath in his system. At Hastings Magistrates’ Court on 2 January, he was disqualified from driving for 36 months. He was also ordered to pay a £300 fine, £85 costs and a £30 victim surcharge. Niranjan Thapa, 41, a shop manager, of Ghyllside Avenue, Hastings, was arrested in Ghyllside Avenue, Hastings, on 7 December and charged with driving while unfit through drink. At Hastings Magistrates’ Court on 9 January, he was disqualified from driving for 17 months and sentenced to a 12-month community order, requiring him to carry out 150 hours of unpaid work. He was also ordered to pay a £133 fine, £85 costs and a £30 victim surcharge. 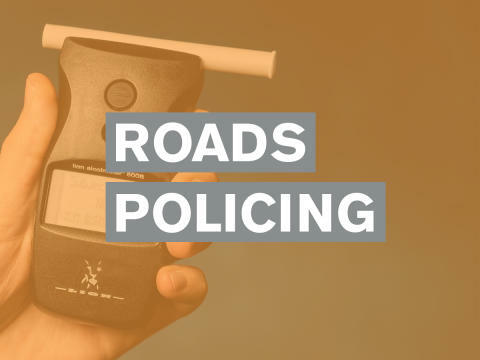 Russell Jones, 37, a manager, of Church Walk, Brighton, was arrested in London Road, Brighton, on 7 December, and charged with driving with 81mcg of alcohol per 100ml of breath in his system, driving while disqualified and driving with no insurance. At Crawley Magistrates’ Court on 4 January, he was disqualified from driving for 52 months and sentenced to six weeks’ imprisonment, suspended for 24 months. He was also ordered to carry out 160 hours of unpaid work, and pay £85 costs and a £115 victim surcharge. Steven Cumper, 37, unemployed, of Newchapel Road, Lingfield, Surrey, was arrested in West Street, East Grinstead, on 7 December and charged with failing to provide a specimen of breath when suspected of having driven a vehicle. At Crawley Magistrates’ Court on 10 January, he was disqualified from driving for 30 months and sentenced to a 12-month community order, requiring him to carry out 150 hours of unpaid work. He was also ordered to pay £85 costs and a £85 victim surcharge. Janet Tsimba, 30, a finance officer, of Stanley Close, London, was arrested in Colonsay Road, Crawley, on 8 December, and charged with driving with 73mcg of alcohol per 100ml of breath in her system and failing to stop after a road traffic collision. At Crawley Magistrates’ Court on 14 January, she was disqualified from driving for 18 months. She was also ordered to pay a £438 fine, £85 costs and a £43 victim surcharge. Cameron Hesling, 18, a carpenter, of Alverstone Close, Eastbourne, was arrested in Shepham Lane, Polegate, on 8 December and charged with driving with 48mcg of alcohol per 100ml of breath in his system. At Hastings Magistrates’ Court on 9 January, he was disqualified from driving for 12 months. He was also ordered to pay a £318 fine, £85 costs and a £31 victim surcharge. 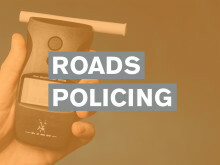 Chilesto Shati, 36, a care assistant, of Northdown Road, Newhaven, was arrested in Newhaven Road, Lewes, on 8 December, and charged with driving with 97mcg of alcohol per 100ml of breath in his system, driving with no insurance and driving with no licence. At Hastings Magistrates’ Court on 9 January, he was disqualified from driving for 24 months and sentenced to a 12-month community order, requiring him to carry out 150 hours of unpaid work. He was also ordered to pay £85 costs and a £85 victim surcharge. Annabel Walker, 28, a child carer, of Monterey Gardens, Bognor Regis, was arrested in Monterey Gardens, Bognor Regis, on 8 December and charged with driving with 119mcg of alcohol per 100ml of breath in her system. At Worthing Magistrates’ Court on 28 December, she was disqualified from driving for 28 months. She was also ordered to pay £85 costs and a £30 victim surcharge. Benjamin Howe, 44, a plant driver, of South Close, Crawley, was arrested on the A24 at Crawley on 9 December and charged with driving with 73mcg of alcohol per 100ml of breath in his system. At Crawley Magistrates’ Court on 2 January, he was disqualified from driving for 17 months. He was also ordered to pay a £120 fine, £85 costs and a £30 victim surcharge. Leanne Perkins, 31, a banker, of Timberleys, Littlehampton, was arrested in Charles Purley Way, Bognor Regis, on 9 December and charged with driving with 44mcg of alcohol per 100ml of breath in her system. At Worthing Magistrates’ Court on 28 December, she was disqualified from driving for 12 months. She was also ordered to pay a £249 fine, £85 costs and a £30 victim surcharge. Youssef El-Kirate, 37, an electrical engineer, of Barrington Road, Goring, was arrested in South Farm Road, Worthing, on 9 December, and charged with failing to provide a specimen of breath when suspected of having driven a vehicle and possession of a Class B drug (ketamine). At Worthing Magistrates’ Court on 28 December, he was disqualified from driving for 24 months and sentenced to 12 weeks’ imprisonment, suspended for 12 months. He was also ordered to carry out 40 hours of unpaid work, and pay £85 costs and a £115 victim surcharge. Cameron Hutson, 19, a waiter, of High Street, Lewes, was arrested in Brooks Road, Lewes, on 11 December and charged with driving with 75mcg of alcohol per 100ml of breath in his system. At Brighton Magistrates’ Court on 3 January, he was disqualified from driving for 20 months. He was also ordered to pay a £184 fine, £85 costs and a £30 victim surcharge. Thomas Goff, 20, a systems analysist, of Wildcroft Drive, Holmwood, Surrey, was arrested in Perimeter Road South, Gatwick, on 14 December and charged with failing to provide a specimen of breath for analysis when suspected of having driven a vehicle. 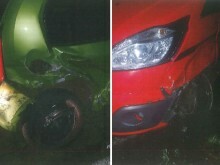 At Crawley Magistrates’ Court on 2 January, he was disqualified from driving for 12 months. He was also ordered to pay a £288 fine, £85 costs and a £30 victim surcharge. Andrew Price, 40, a landscape gardener, of Camp Road, Wimbledon, London, was arrested in Hartfield Road, Forest Row, on 14 December and charged with failing to provide a specimen of breath for analysis when suspected of having driven a vehicle. At Brighton Magistrates’ Court on 3 January, he was disqualified from driving for 24 months. He was also ordered to pay a £278 fine, £85 costs and a £30 victim surcharge. Benjamin Misfud, 25, a marketing employee, of Ellis Road, Broadbridge Heath, was arrested in North Parade, Horsham, on 15 December and charged with driving with 70mcg of alcohol per 100ml of breath in his system. At Crawley Magistrates’ Court on 4 January, he was disqualified from driving for 18 months. He was also ordered to pay a £340 fine, £85 costs and a £34 victim surcharge. Alex Turner, 18, a shop worker, of Langridge Drive, Portslade, was arrested in Upper Shoreham Road, Brighton, on 15 December and charged with driving with 65mcg of alcohol per 100ml of breath in his system. At Worthing Magistrates’ Court on 4 January, he was disqualified from driving for 18 months. He was also ordered to pay a £184 fine, £85 costs and a £30 victim surcharge. Gale Strudwick, 49, a care assistant, of Sherborne Road, Chichester, was arrested in Sherborne Road, Chichester, on 15 December and charged with driving with 115mcg of alcohol per 100ml of breath in her system. At Worthing Magistrates’ Court on 4 January, she was disqualified from driving for 28 months. She was also ordered to pay a £276 fine, £85 costs and a £30 victim surcharge. Tomasz Bonislawski, 39, a forklift driver, of George IV Walk, Bognor Regis, was arrested in Wick Street, Littlehampton, on 15 December and charged with driving with 91mcg of alcohol per 100ml of breath in his system. 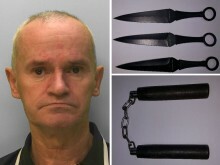 At Worthing Magistrates’ Court on 4 January, he was disqualified from driving for 23 months. He was also ordered to pay a £380 fine, £85 costs and a £38 victim surcharge. Philip Helmore, 32, a landscape gardener, of Sycamore Gardens, Burgess Hill, was arrested on the A272 at Scaynes Hill on 15 December and charged with driving with 91mcg of alcohol per 100ml of breath in his system. 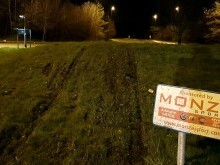 At Crawley Magistrates’ Court on 10 January, he was disqualified from driving for 23 months and sentenced to a 12-month community order, requiring him to carry out 100 hours of unpaid work. He was also ordered to pay £85 costs and a £85 victim surcharge. Peter Takacs, 38, a chef, of Clarke Avenue, Hove, was arrested in Bond Street, Brighton, on 16 December and charged with driving with 70mcg of alcohol per 100ml of breath in his system. At Brighton Magistrates’ Court on 3 January, he was disqualified from driving for 22 months. Oussama Jirari, 32, a waiter, of Hangleton Road, Hove, was arrested in Black Lion Street, Brighton, on 16 December, and charged with driving with 65mcg of alcohol per 100ml of breath in his system, driving with no licence and driving with no insurance. At Brighton Magistrates’ Court on 3 January, he was disqualified from driving for 18 months. He was also ordered to pay a £414 fine, £55 costs and a £30 victim surcharge. Duncan Gipson, 45, a veterinary surgeon, of Henfield Road, Cowfold, was arrested in Stonefield Way, Burgess Hill, on 17 December and charged with driving with 106mcg of alcohol per 100ml of breath in his system. At Crawley Magistrates’ Court on 4 January, he was disqualified from driving for 36 months and sentenced to a 12-month community order, requiring him to carry out 150 hours of unpaid work. He was also ordered to pay £85 costs and a £85 victim surcharge. 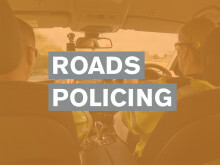 Ryan Morris, 23, unemployed, of Bradshaw Road, Chichester, was arrested in Bradshaw Road, Chichester, on 17 December, and charged with failing to provide a specimen of breath when suspected of having driven a vehicle, driving with no insurance and driving with no licence. At Worthing Magistrates’ Court on 8 January, he was disqualified from driving for 36 months and fined £120. Ben Sierarowski, 23, a civil engineer, of Ham Close, Richmond Upon Thames, was arrested in Cheapside, Brighton, on 18 December and charged with failing to provide a specimen of blood for analysis when suspected of having driven a vehicle. At Brighton Magistrates’ Court on 3 January, he was disqualified from driving for 12 months. He was also ordered to pay a £120 fine, £85 costs and a £30 victim surcharge. Veibeeshan Athavan, 22, a shop manager, of Ash Road, Crawley, was arrested in Three Bridges Road, Crawley, on 19 December and charged with driving with 52mcg of alcohol per 100ml of breath in his system. At Crawley Magistrates’ Court on 7 January, he was disqualified from driving for 14 months. He was also ordered to pay a £400 fine, £85 costs and a £40 victim surcharge. Peter Sourial, 34, a taxi driver, of Trafalgar Road, Portslade, was arrested in Lincoln Road, Brighton, on 19 December and charged with driving with 71mcg of alcohol per 100ml of breath in his system. At Brighton Magistrates’ Court on 10 January, he was disqualified from driving for 17 months. He was also ordered to pay a £120 fine, £85 costs and a £30 victim surcharge. Paul Davies, 59, an engineer, of Eaton Gardens, Hove, was arrested in Eaton Gardens, Hove, on 20 December and charged with driving with 84mcg of alcohol per 100ml of breath in his system. At Brighton Magistrates’ Court on 10 January, he was disqualified from driving for 17 months. He was also ordered to pay a £623 fine, £85 costs and a £63 victim surcharge. Elizabeth Collins, 32, unemployed, of no fixed address, was arrested in London Road, Burgess Hill, on 20 December, and charged with driving with failing to provide a specimen of blood for analysis when suspected of having driven a vehicle and driving with no licence. At Crawley Magistrates’ Court on 9 January, she was disqualified from driving for 12 months and sentenced to a 12-month community order. She was also ordered to pay £85 costs and a £85 victim surcharge. Tyler Thompson, 22, a telephonist, of Marden Close, Brighton, was arrested in North Road, Brighton, on 22 December and charged with driving with 80mcg of alcohol per 100ml of breath in his system. At Brighton Magistrates’ Court on 10 January, he was disqualified from driving for 36 months. He was also ordered to pay a £364 fine, £85 costs and a £36 victim surcharge. Susan George, 58, a teacher, of South Farm Road, Broadwater, was arrested on the A24 at Horsham on 22 December and charged with driving with 43mcg of alcohol per 100ml of breath in her system. At Worthing Magistrates’ Court on 8 January, she was disqualified from driving for 12 months. She was also ordered to pay a £276 fine, £85 costs and a £30 victim surcharge. Jakes Mayes, 25, a computer consultant, of Larkspur Drive, Eastbourne, was arrested in Warren Road, Brighton, on 22 December and charged with driving with 87mcg of alcohol per 100ml of breath in his system. At Brighton Magistrates’ Court on 10 January, he was disqualified from driving for 46 months and sentenced to a 12-month community order, requiring him to carry out 120 hours of unpaid work. He was also ordered to pay £85 costs and a £85 victim surcharge. Mark Ellwood, 48, a manager, of Cavendish Street, Chichester, was arrested in Priory Road, Chichester, on 22 December and charged with driving with 50mcg of alcohol per 100ml of breath in his system. At Worthing Magistrates’ Court on 15 January, he was disqualified from driving for 12 months. He was also ordered to pay a £400 fine, £85 costs and a £40 victim surcharge. Barry Williams, 44, an electrician, of The Brow, Brighton, was arrested in The Brow, Brighton, on 26 December and charged with driving with 48mcg of alcohol per 100ml of breath in his system. At Brighton Magistrates’ Court on 10 January, he was disqualified from driving for 12 months. He was also ordered to pay a £115 fine, £85 costs and a £30 victim surcharge. She is among 240 suspected drink and drug-drivers arrested over the Christmas period.